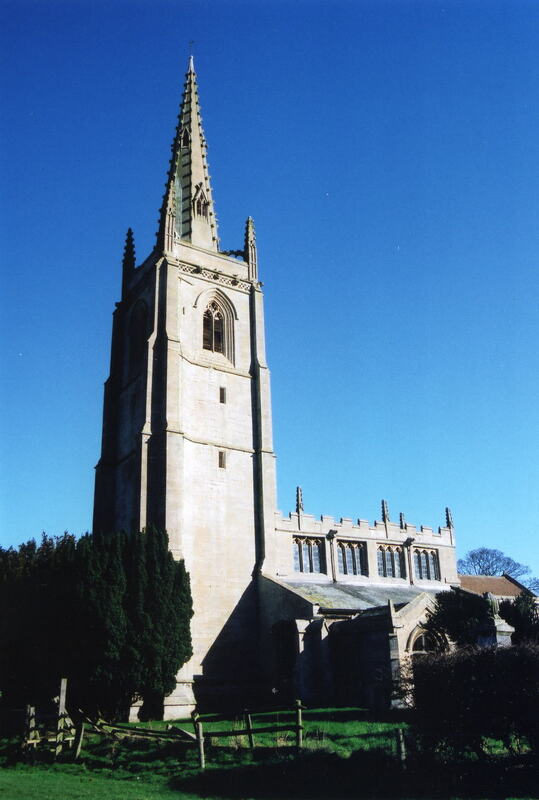 The parish was in the Heckington sub-district of the Sleaford Registration District. You can also perform a more selective search for churches in the Asgarby area or see them printed on a map. The church has a remarkably tall spire for such a small church. David HITCHBORNE has a photograph of the Church of St. Andrew on Geo-graph, taken in August, 2013. The Anglican parish register dates from 1640 (one source tells us 1676). The London Family History Centre has the Bishop's Transcripts from 1561 to 1806 on microfilm. The Lincolnshire FHS has a Loan Library service which has the parish registers on microfiche for Baptisms from 1676 to 1812 and Marriages from 1676 to 1812. Asgarby is both a parish and a small village about 3 miles east of Sleaford. Ewerby parish lies to the north and Heckington parish to the south. The parish covered about 840 acres in the 1800's. Boughton is a hamlet in Asgarby parish, half a mile north-east of Asgarby village. Ask for a calculation of the distance from Asgarby to another place. You can see the administrative areas in which Asgarby has been placed at times in the past. Select one to see a link to a map of that particular area. In 1880, a detached part of Asgarby parish (in the Fens) was annexed to Carrington. In 1885, Asgarby Fen and Carr Dyke Bank were transferred from Asgarby to Howell parish (near Sleaford). You will note that there is a village of Asgarby just west of Howell. In 1882, the Marquis of Bristol was the principal landowner. In 1913, the Marquis of Bristol was the principal landowner. For a photograph of the Asgarby War Memorial plaque in the church and the list of names on it, see the Roll of Honour site. The name derives from the Old Scandinavian Asgeirr+by, meaning "farmstead of a man named Asgeirr". It appears as Asgerebi in the 1086 Domesday Book. White's 1842 Directory lists the following people in the parish: Bryan MILLINGTON and Thomas SNEATH. White's 1872 Directory lists the following people in the parish: Rev. Henry ANDERS, John GREEN, Charles SHARPE, Frederick SNEATH, Captain Bruce TOMLINSON. White's 1882 Directory lists the following people in the parish: Rev. John GORTON, Charles SHARPE, Frederick J. N. SNEATH and Bruce TOMLINSON. Kelly's 1900 Directory lists the following people in the parish: Rev. Reginald HART-DAVIES, Edward FEATHERSTONE, George GOODSON, James POCKLINGTON, Fredk. J. N. SNEATH and Frederick William SNEATH. The parish was in the ancient Aswardhurn Wapentake in the North Kesteven district in the parts of Kesteven. In April, 1931, this Civil Parish was abolished and used to create the new Asgarby and Howell Civil Parish. You may contact the local Asgarby and Howell Parish Council regarding civic or politcal issues, but they are NOT staffed to help with family history lookups. The parish was entitled to send one poor man to Sleaford Hospital. There was no school built in the parish. The parish was entitled to send two children who attended school in Ewerby parish, but most children attended school in Kirkby-Laythorpe parish.